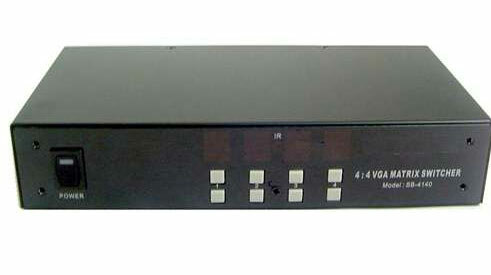 The 40-4140 is an 4 input 4 output VGA matrix switcher ideally suited for HDTV or PC applications. Supports XGA, SXGA, UXGA and WUXGA PC resolutions. 380Mhz video bandwidth supports 1080I HDTV resolution. 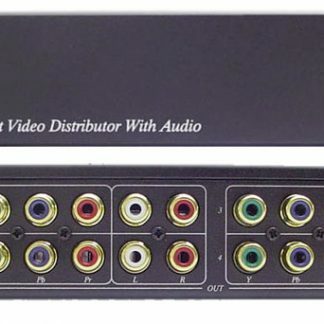 The matrix switcher allows you to assign any of the 4 VGA inputs to any of the 4 VGA outputs through the manual push button controls or IR remote control. 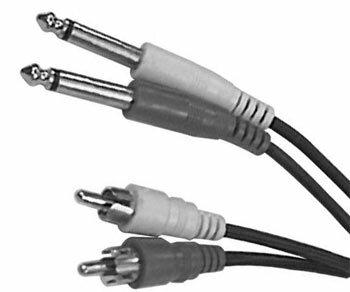 RS232 interface for PC control. 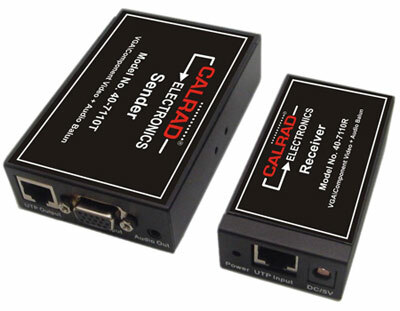 12Vdc power supply, IR remote control and the windows based software driver included. 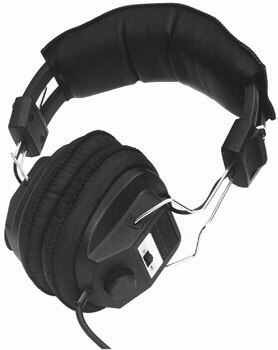 Size: Length 8.25” x Width 19” x Height 1.75”.